Controlling traffic at an emergency scene is important for the safety of all those involved and those passing by. It is critical to have proper traffic control products on hand to warn oncoming vehicles of what's to come and to keep the flow of traffic smooth. Here are some products that will help you to be seen and safe while keeping those around you safe, too. Throwing on a hi-vis vest should be one of the first things you do when you're controlling traffic. A great option is the Lakeland Hi-Vis Public Safety Vest. 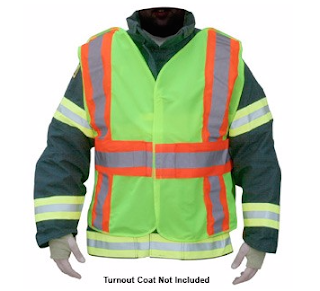 This vest will keep you compliant, giving you better visibility against all backgrounds and under all conditions. The Lakeland Hi-Vis Public Safety vest design is lightweight and comfortable, and it features advanced breakaway shoulders and sides to allow easy on and off. The vest comes with 2 mic-tabs and an inside, left-chest pocket for your radio or personal belongings. 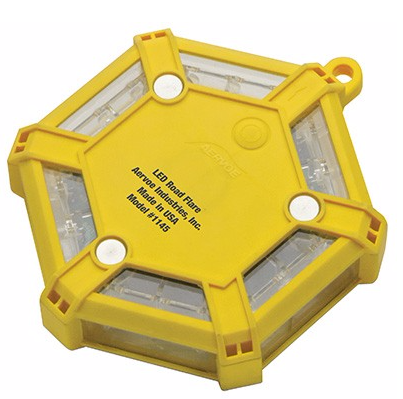 Another great addition to your traffic control products is a battery operated LED Road Flare like this one from Aervoe. The Aervoe Road Flare is a durable and safe alternative to standard incendiary flares. Made to be crushproof, waterproof (up to 50 feet), and floatable, they're built to last. There are 7 flash patterns to choose from and all are visible up to 7 miles. The flare can be conveniently attached to any magnetic surface, making them the ideal choice for road safety by emergency responders. 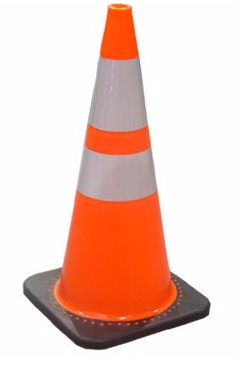 This traffic cone is made of premium grade PVC, premium fluorescent orange materials, 3M High Intensity Grade 3840 reflective sheeting, and is anything but ordinary. This cone has a strong mechanism foundation that can absorb huge amounts of force from impact without damaging the cone, making it highly durable. The special 'basketball grip' technology used inside the cones keep them from sticking together when they're stacked. Find these and many more Traffic Control products on our website.